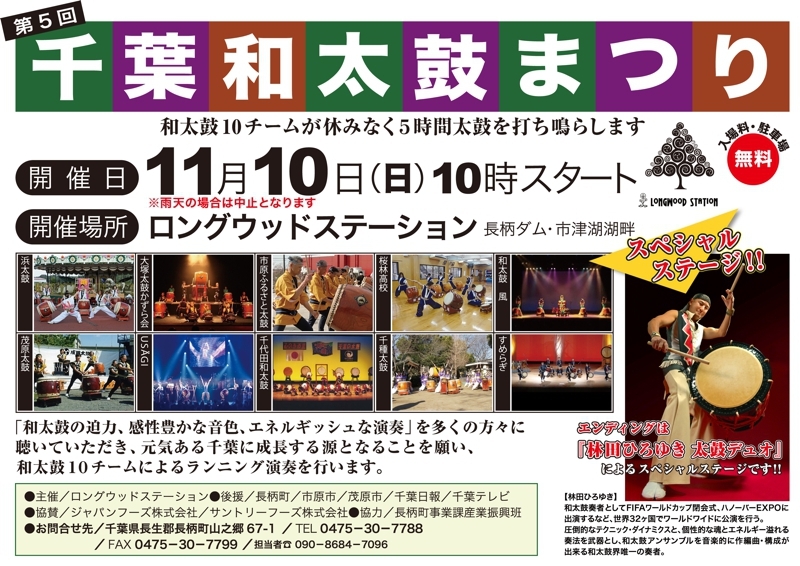 Hayashida perform at Chiba Taiko Festival !! 67-1 Yamanogo, Nagara-machi, Chosei-gun, Chiba-pref. Groove construction program in popularity again. It is necessary that a construction of groove for steady rhythm. This program learns a construction technology of groove from the basics to plays song. Expected a lot of participants! a transmission by E-mail and Facsimile. Hiro Hayashida's Taiko Workshops and Concerts in Singapore! Secondary to last year, Taiko Master Hayashida will gives some workshops of Katsugi Okedaiko and Taiko Set and some concert in Singapore! 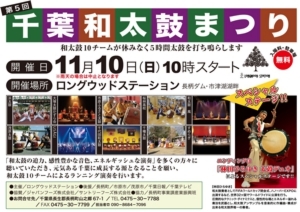 The stage drama, HIKOBAE with the true story by the East Japan great earthquake disaster. A story of courage and sacrifice that focuses on the medical personnel of Soma City, Fukushima, on March 11th, 2011. [HIKOBAE Project] on Facebook: Click Here! Groove and solo construction program in popularity again. Let's spend late summer in Yamanaka-Lake! 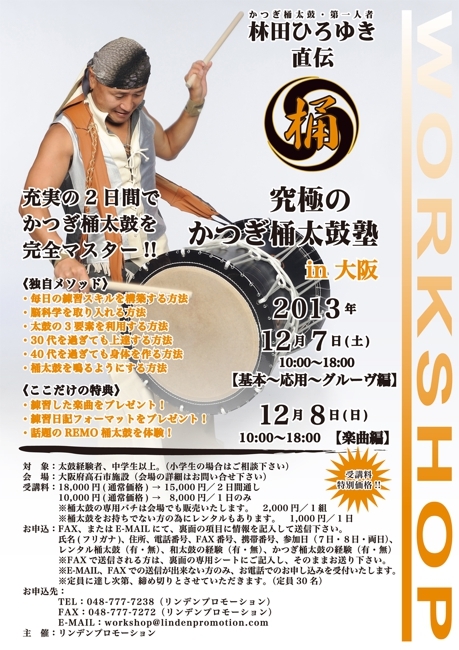 A camp workshop with BBQ! The holding of the summer camp workshop is decided this year, too! It is the Yamanaka-Lake which will be perfectly in late summer! 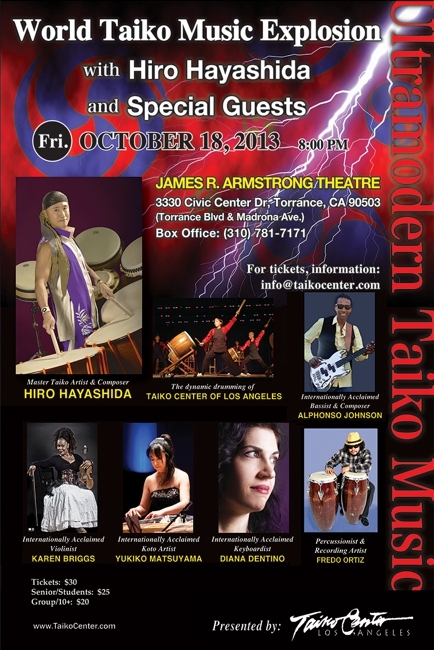 ■World Taiko Music Explosion w/ Hiro Hayashida and Special Guests!